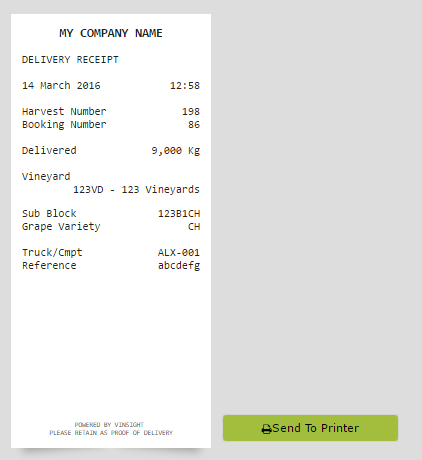 This document assumes you have already got Harvest Bookings entered in Vinsight that are now being processed. Open Fruit Receival Workspace in the Grow > Pre-Harvest area. 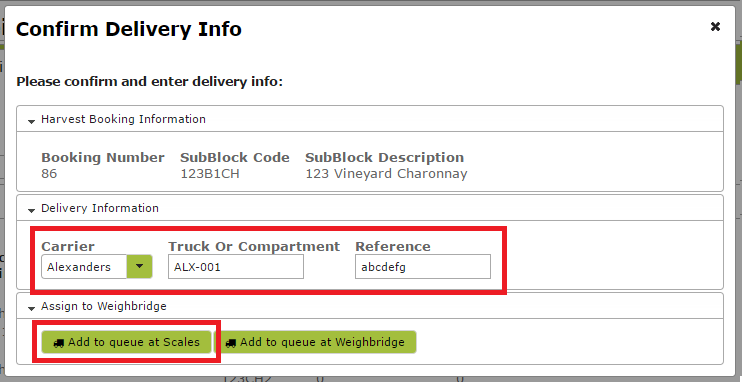 Select the weighbridge that this truck is queued at. 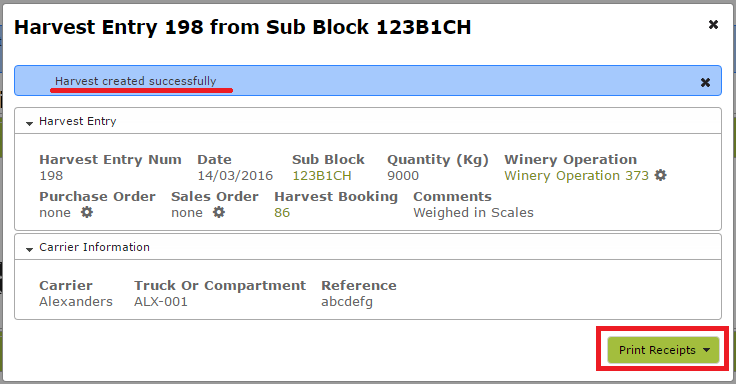 In this case, we have added a truck to the "Scales" weighbridge which is currently reading 9 tonnes. 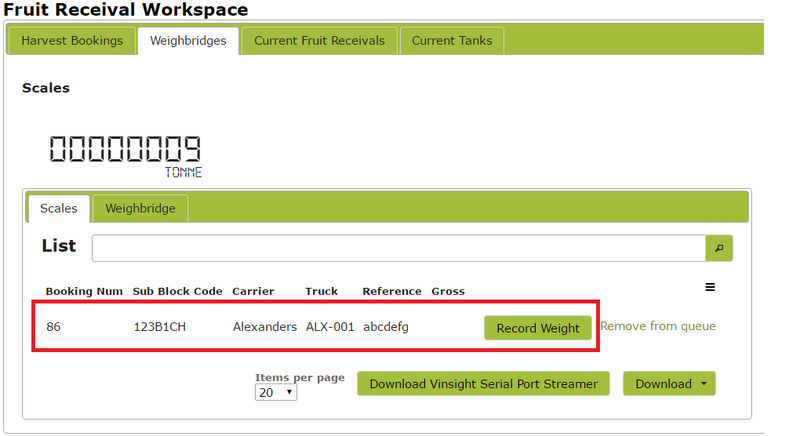 From here, you can press "Record Weight" to record this weight against the load. 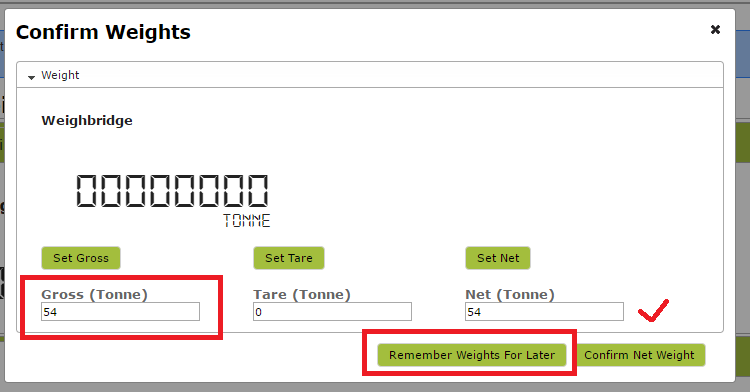 If you need to record a Gross weight then later on a Tare weight see Weighing a load that needs to be tared afterwards later in this document. 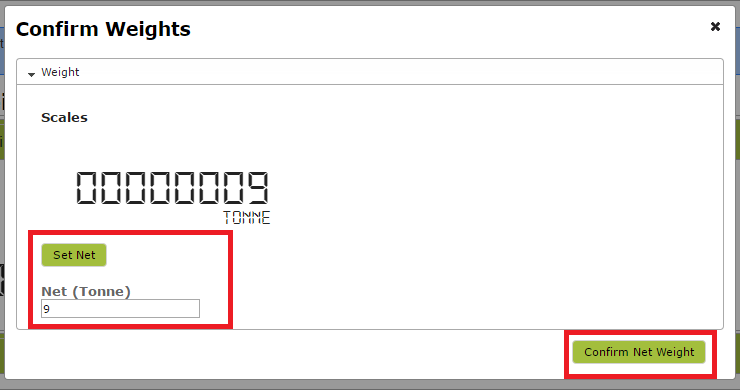 After the truck has dropped off its load and is back on the weighbridge, you can click on the truck in the queue again and set the Tare weight. 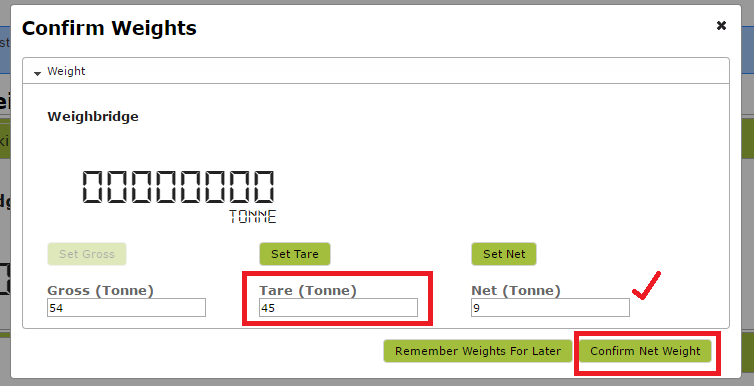 Again you can either ruse "Set Tare" if your scale data is coming through to Vinsight, or you can override this by simply typing the Tare weight in the box. 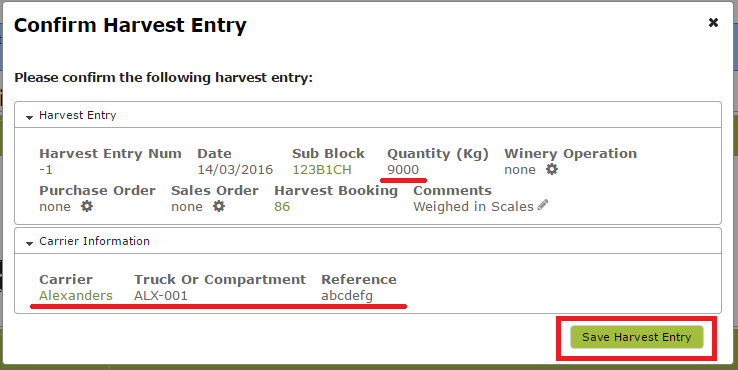 You will then be taken to the new Harvest Entry page as per usual.